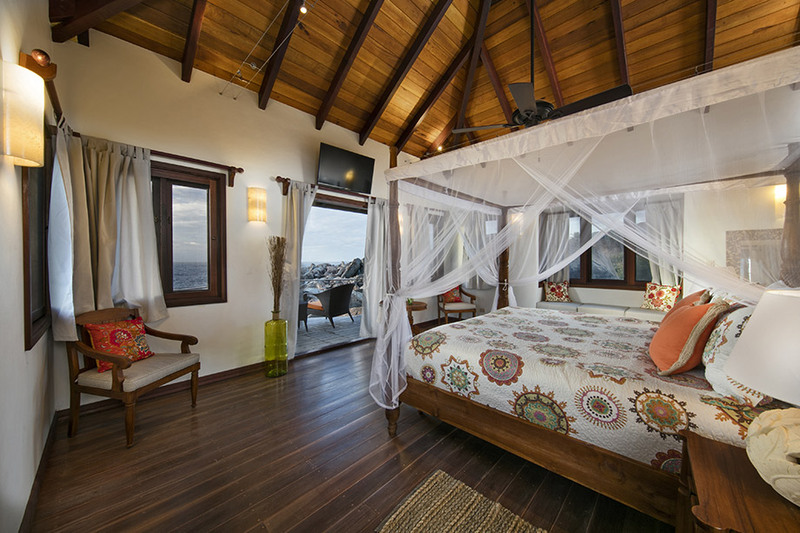 Bedroom Specs 3 kings + 2 twins (OR twins can be converted into a king size bed, your choice) + two daybeds/couches in the Entertainment room* (OR one air mattress in gym can be set up with advance notice for the 10th guest). 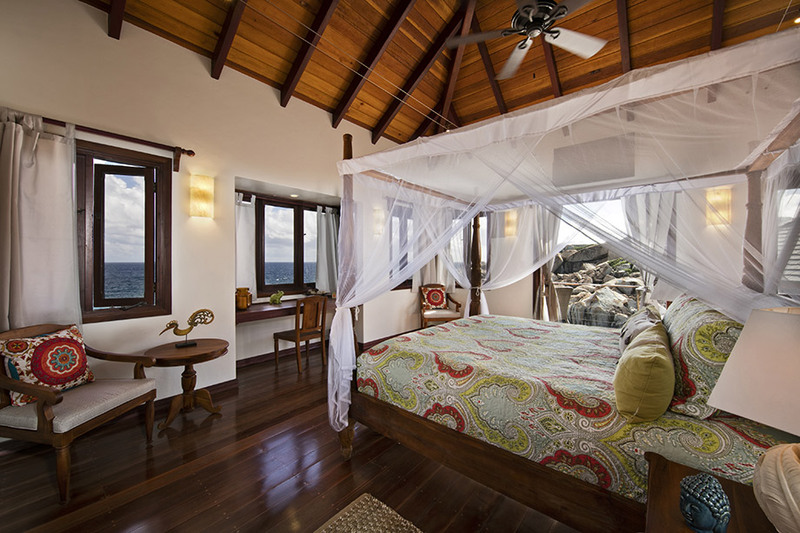 **Batu Special Offer: Bookings for travel before April 22, 2017- Stay for 7 Nights, Pay for 6! 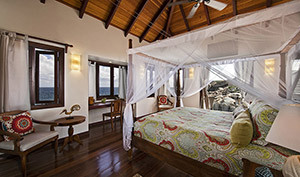 ** For travel April 23 to Dec 15, 2017 - Stay for 5 nights, Pay for 4! 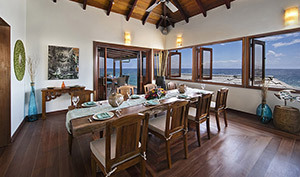 This offer excludes Thanksgiving week and is not applicable to existing reservations made before January 24, 2017 and cannot be combined with any other offer. 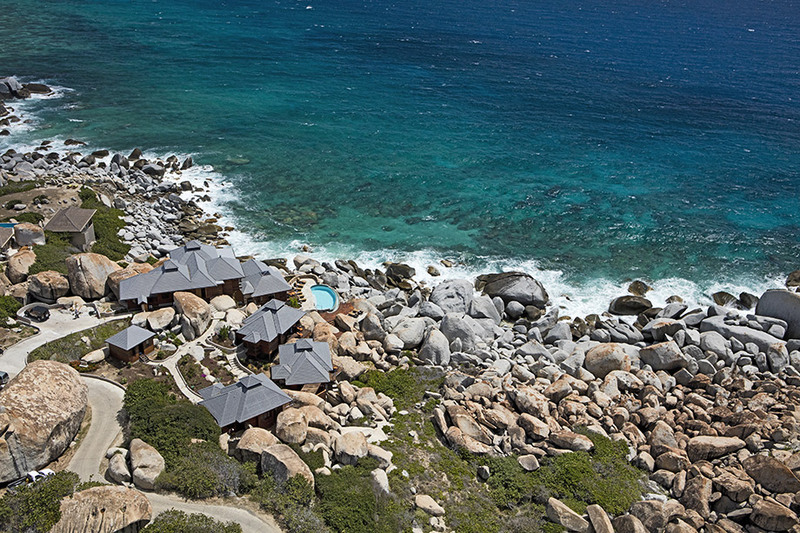 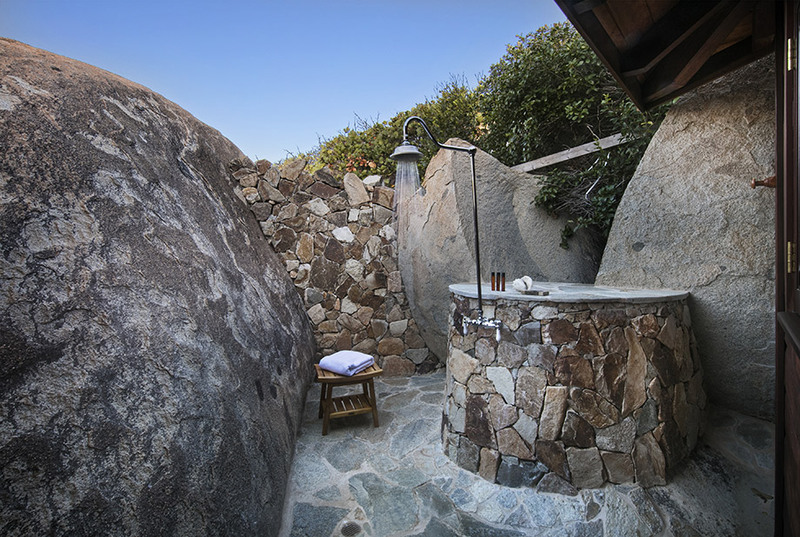 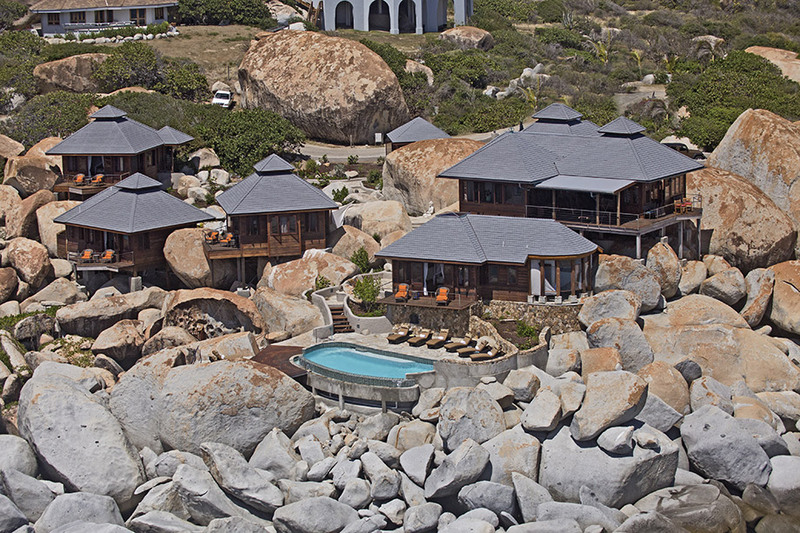 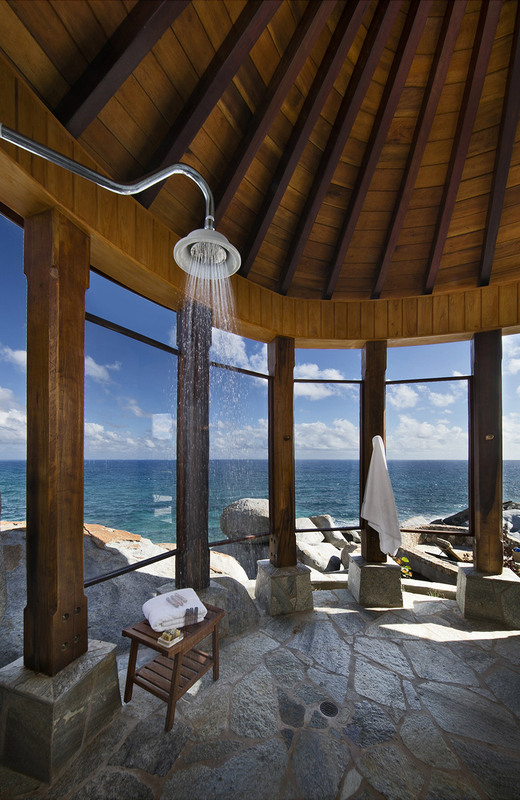 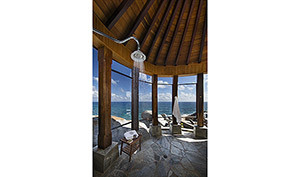 This Bali inspired home… Batu (Indonesian for “rock”), is a sprawling, multi-level property built atop giant granite boulders that characterize the stunning shoreline of Virgin Gorda. 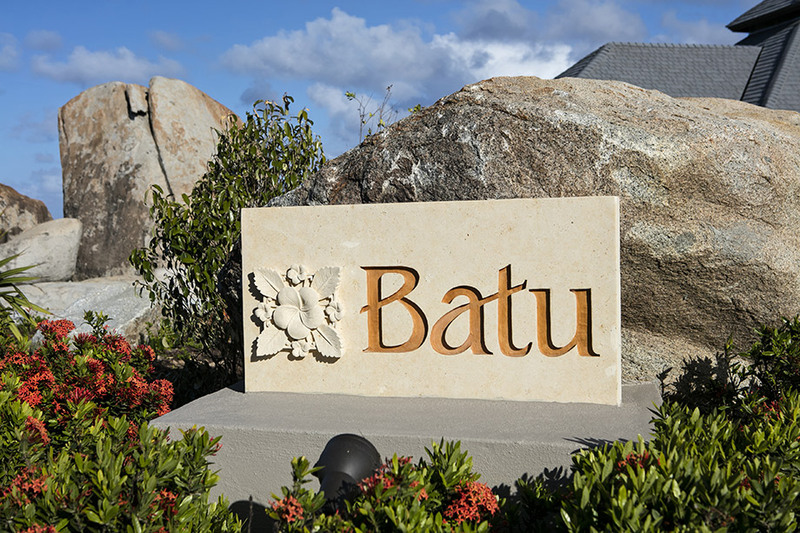 Aesthetically soothing and a marvel of engineering, Batu was sensitively designed to enhance its natural landscape, capture the cooling trade breezes and provide uninterrupted ocean views from the living and dining areas, the pool deck and from each bedroom. 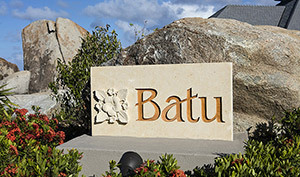 Located on Whale Bay, Batu is a just a short walk to the world famous Baths. 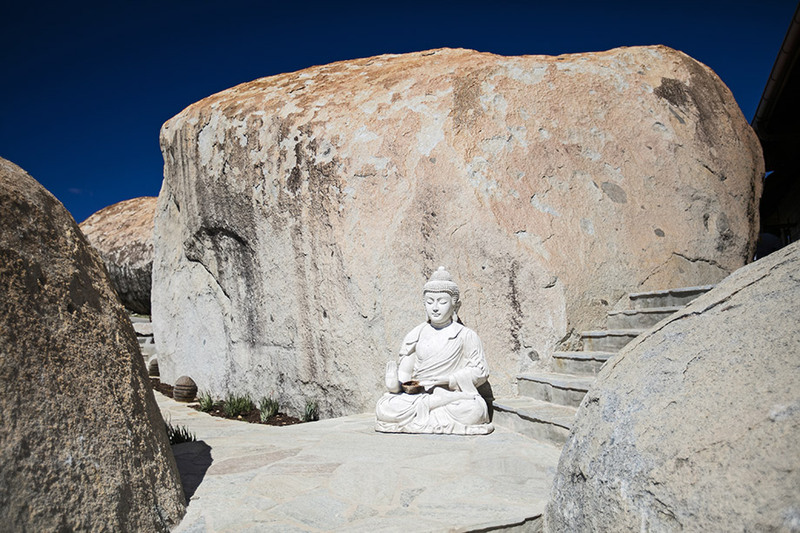 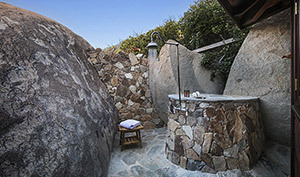 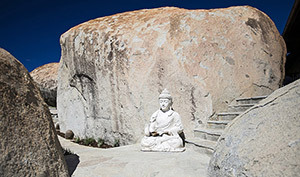 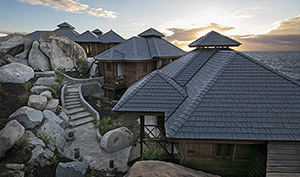 Batu is comprised of several detached structures interconnected by lighted stone pathways that meander past boulders and through tropical gardens. 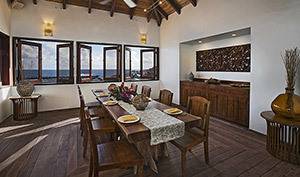 The main pavilion houses the living and dining areas, as well as the gourmet kitchen and separate entertainment room. 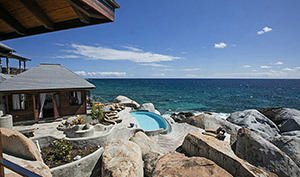 Wi-Fi is available throughout the main house and pool area, as is stereo sound system. 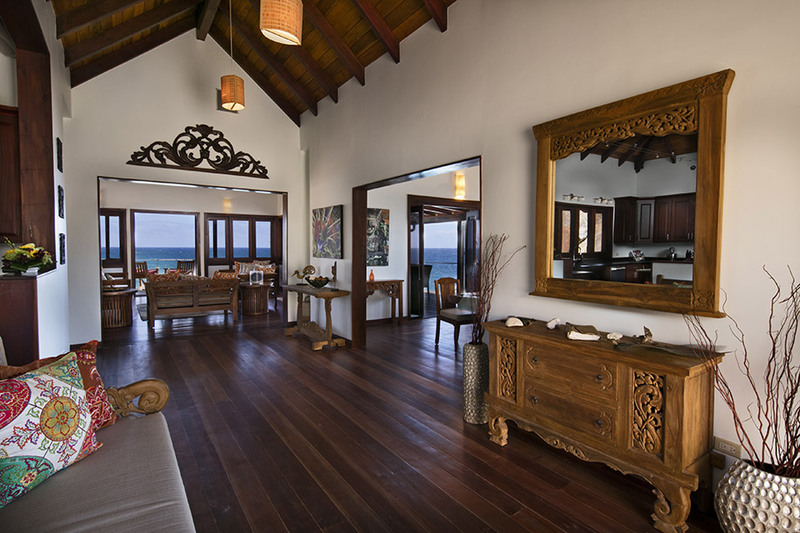 Foyer and Kitchen: Enter the main house through hand carved double doors, step into the foyer and be captivated by the open floor plan, hand crafted Balinese furniture and original artwork. 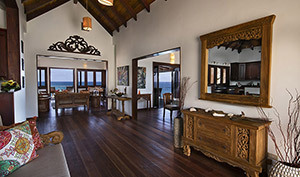 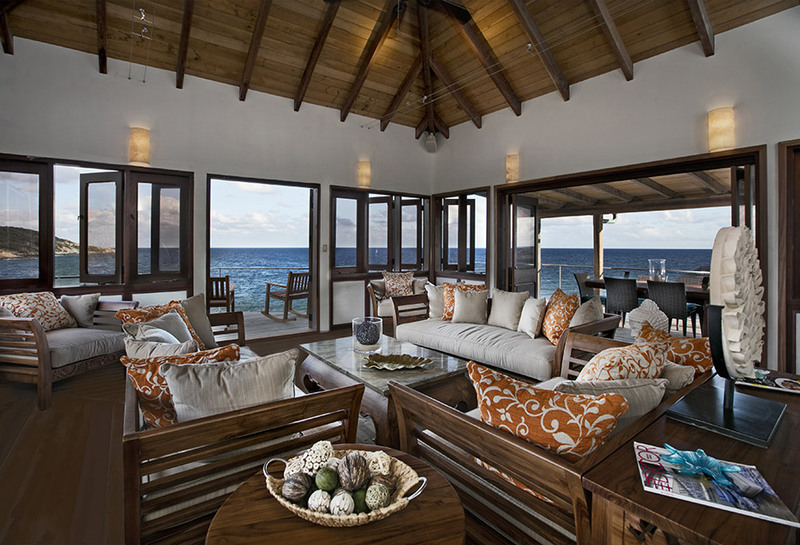 Hardwood floors and exposed vaulted ceilings with hanging lamps and fans add to the soothing island ambience of Batu. 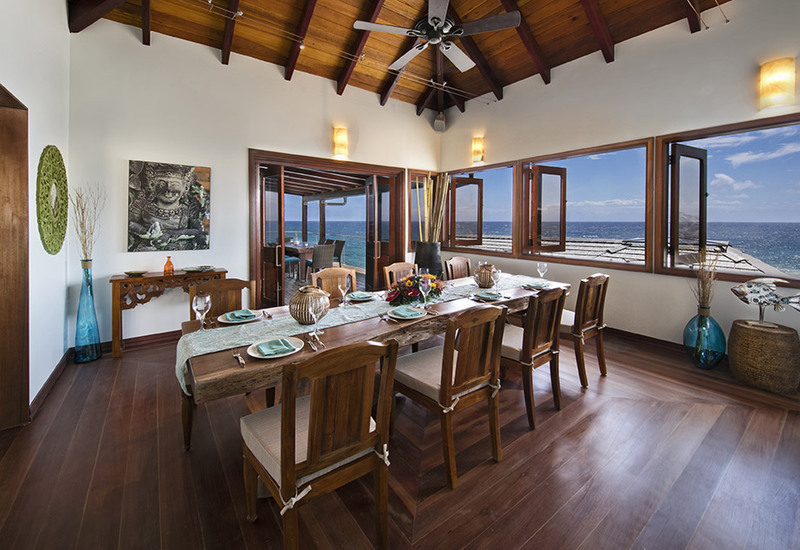 To the left is the kitchen where any Michelin starred chef would feel at home. 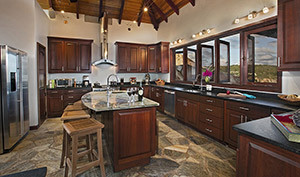 Granite countertops, custom cabinetry, professional grade stainless steel appliances; refrigerator, range, oven, wine cooler, high capacity ice maker and small appliances make family style cooking easy and fun. 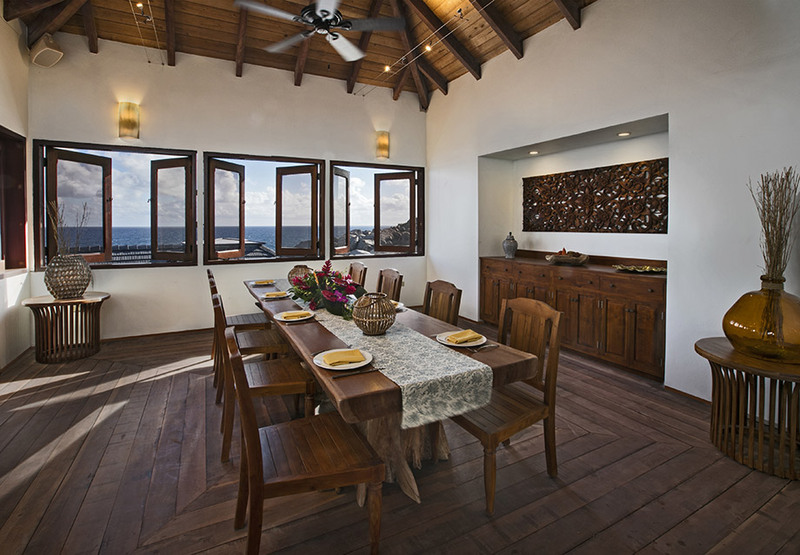 Dining Rooms: Across from the kitchen is the main dining room anchored by a custom made Mora wood dining table and chairs that can comfortably accommodate 8 persons. 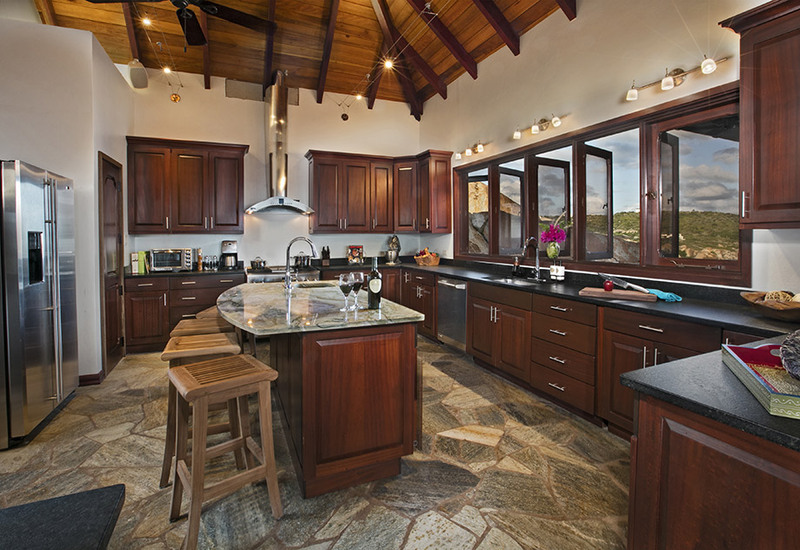 Built in cabinetry and serving station makes entertaining…or being catered to by a private chef…easy. 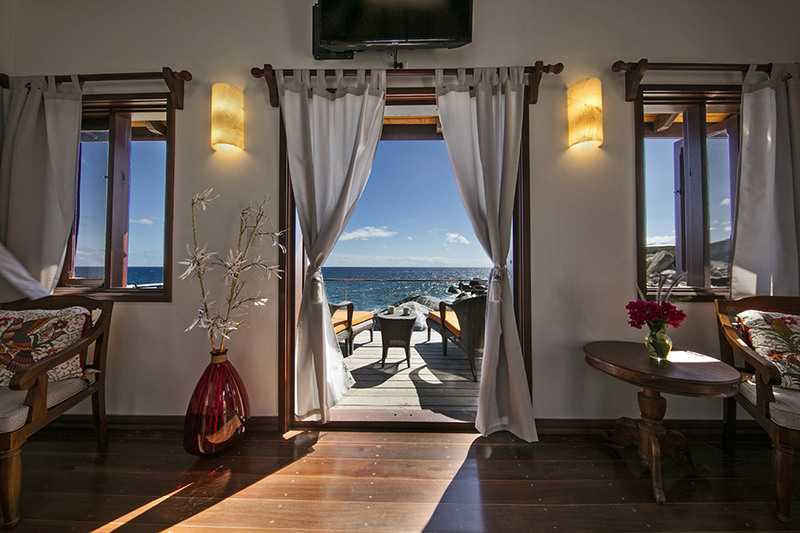 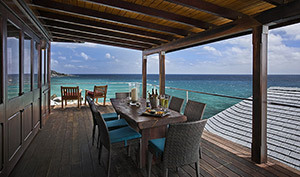 Alternatively, al fresco dining on the deck enhances any meal with expansive views of the coastline and ocean. 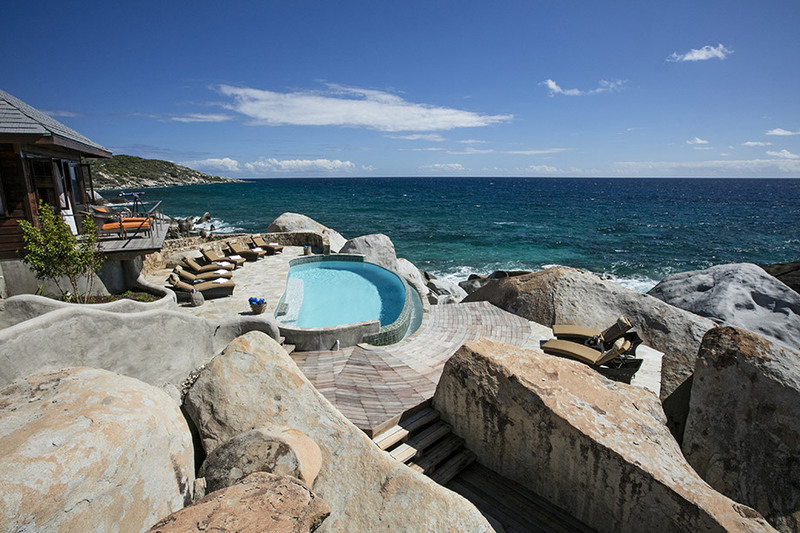 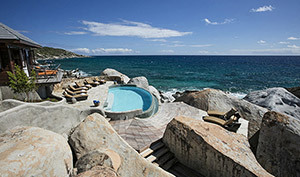 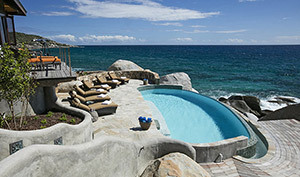 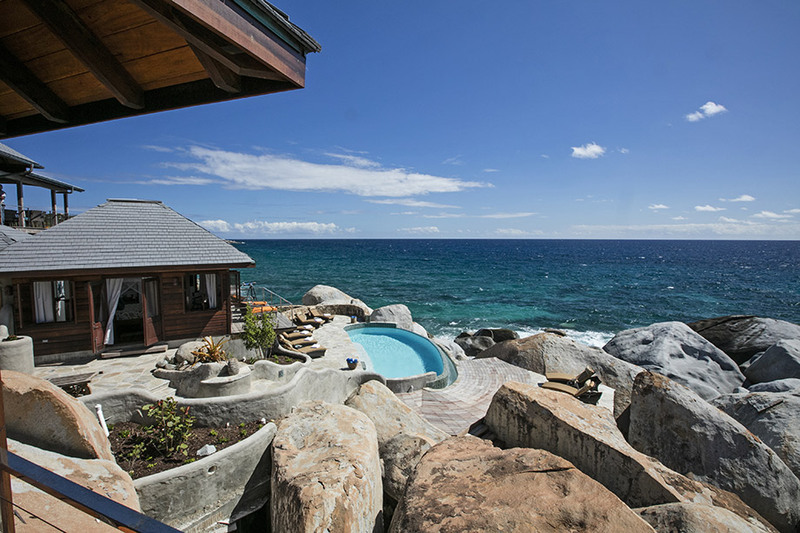 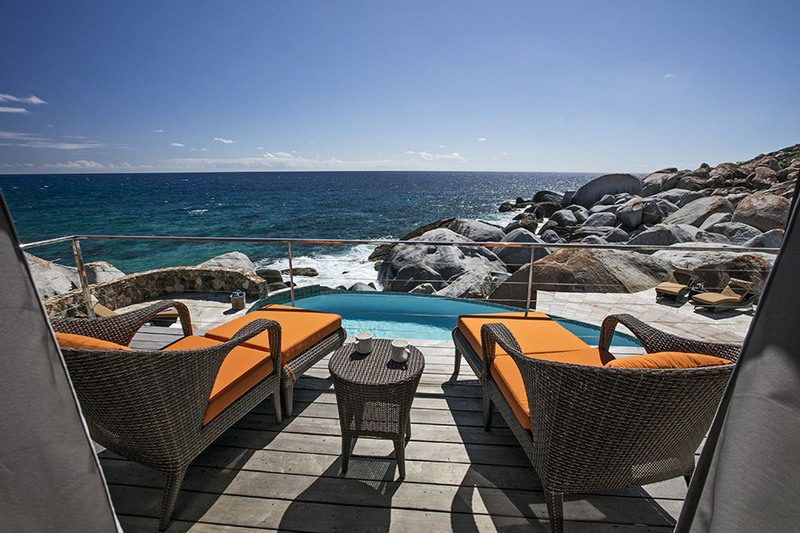 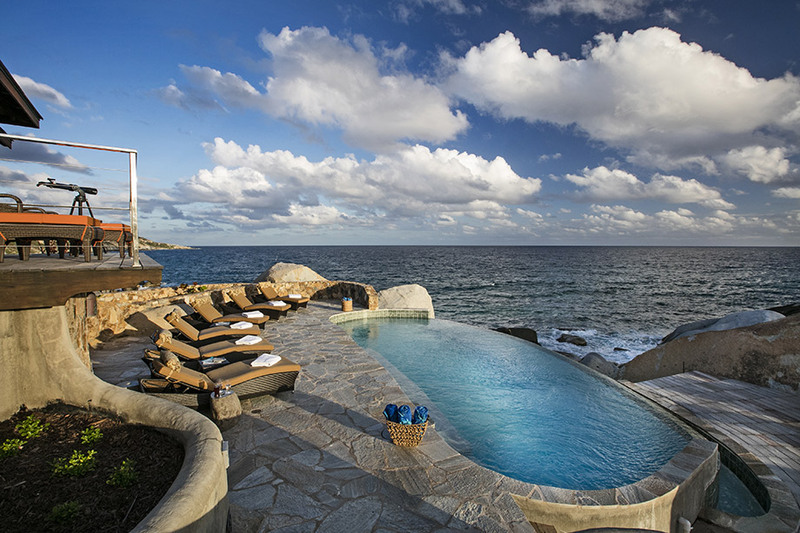 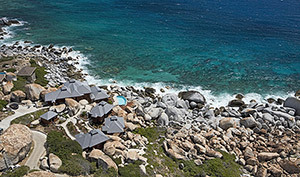 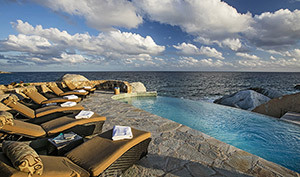 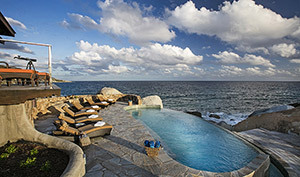 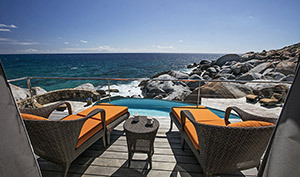 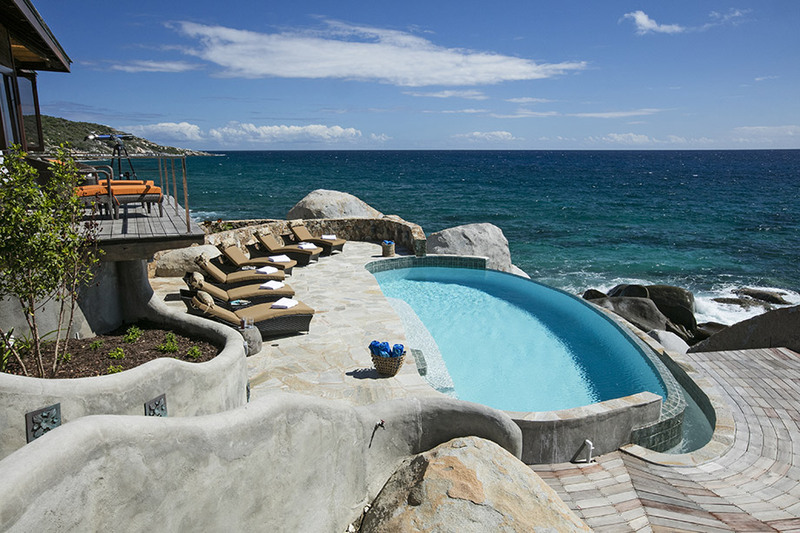 Pool & Deck: With commanding views the Atlantic, the infinity edge fresh water pool and deck literally hang over the rocks and are within earshot of the waves lapping on the boulders below. 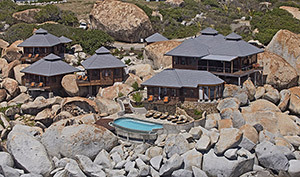 Bedrooms: All four bedrooms are detached from the main house and connected via stone pathways, which are well lit in the evening. 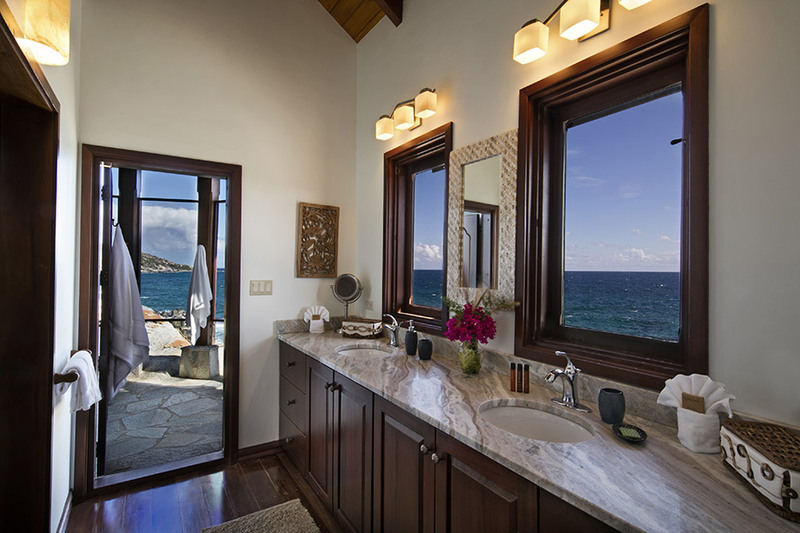 They are situated to optimize privacy. 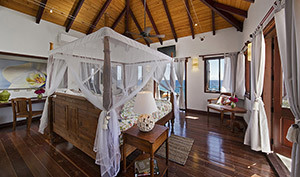 All bedrooms are equal in size and amenities. 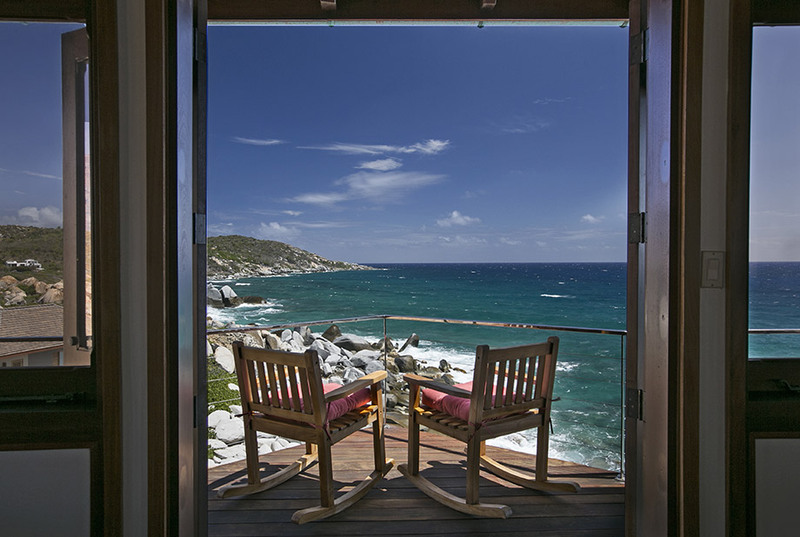 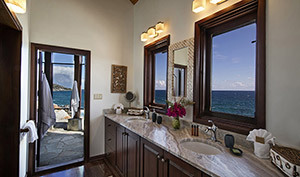 All have sea views, ensuite bathrooms with double basins, al fresco showers, walk in closets, large sun decks, safes, ceiling fans, mini fridges, coffee makers, USB outlets, Wi-Fi Internet access and individually controlled AC. 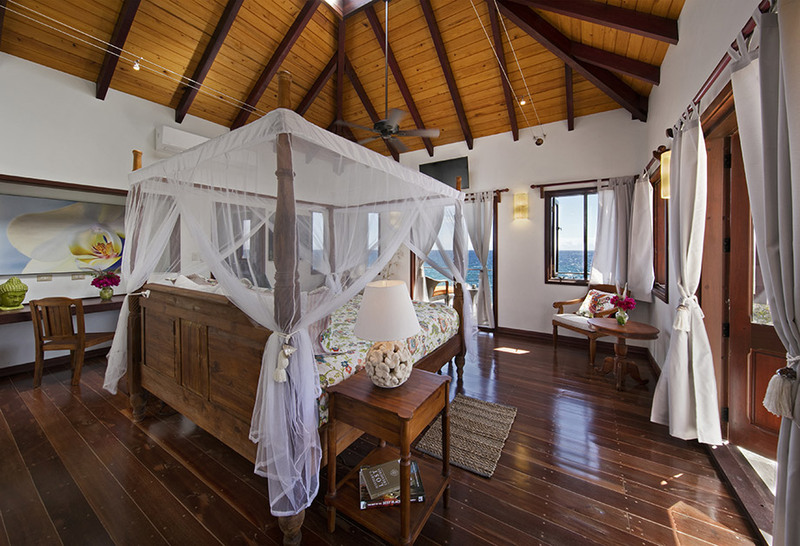 •	Master bedroom is located above the pool deck and has a four poster king size bed with netting •	Two bedrooms have four poster king size beds with netting. 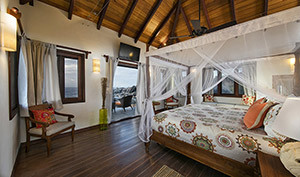 •	One Bedroom has four poster twin beds with netting that can be converted into a king size bed. 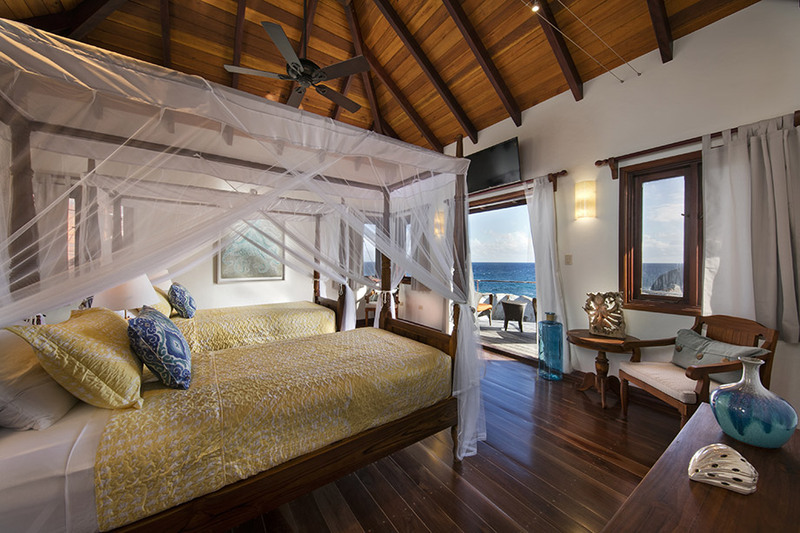 •	Extra beds- There are two daybeds/couches in the Entertainment room and one air mattress is available for guests' use which can be set up in the Gym with advance notice. 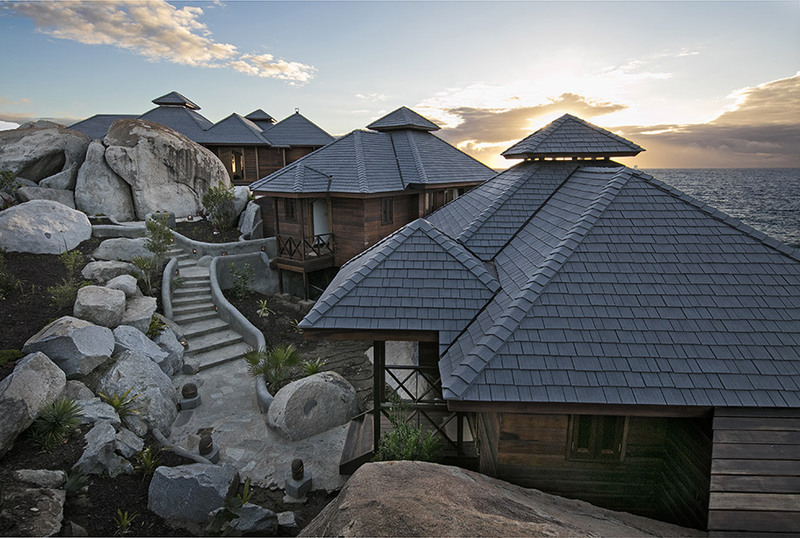 Batu is ideal for families and friends traveling together. 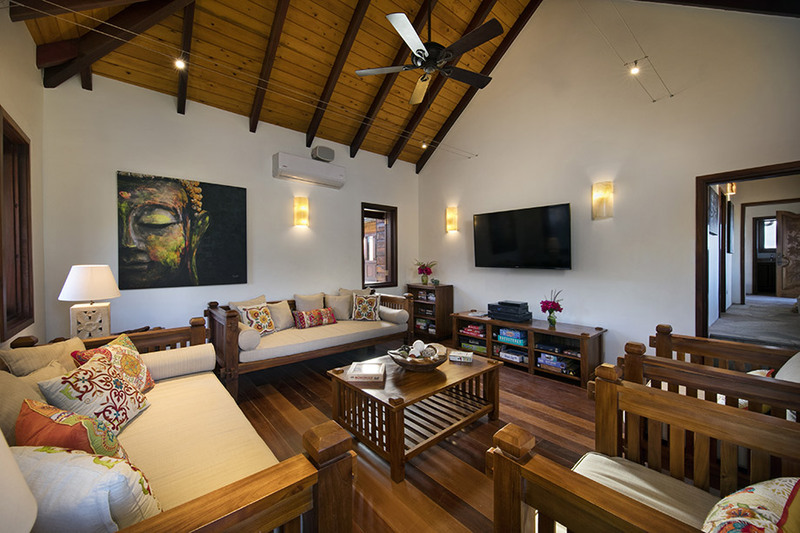 The sprawling layout of the property and the maximize privacy, however parents of young children should be mindful of the distances between bedrooms. 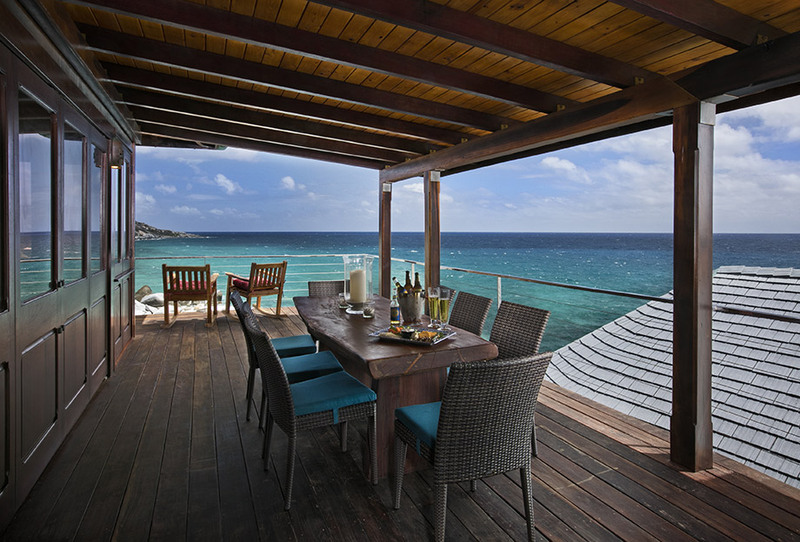 Liability waivers are required for each child 12 years old or younger. 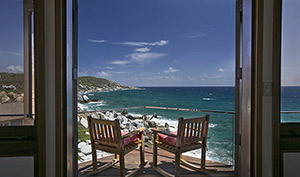 A/C: Separately controlled in all bedrooms, gym, entertainment room. 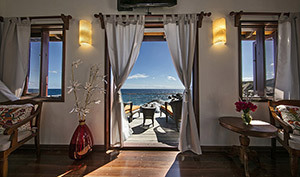 Gym: Elliptical cycle, Bowflex free weights, Exercise bench, smart TV and AC. 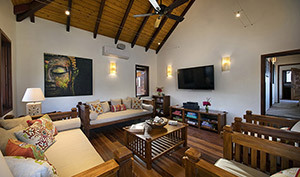 Please add a 12% mandatory service charge to all rental rates for Batu (non-commissionable). 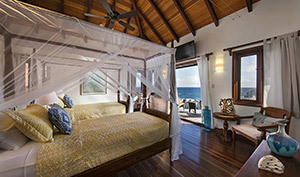 CHILD RESTRICTIONS: A signed Liability Waiver is required prior to arrival for children aged 12 and under. 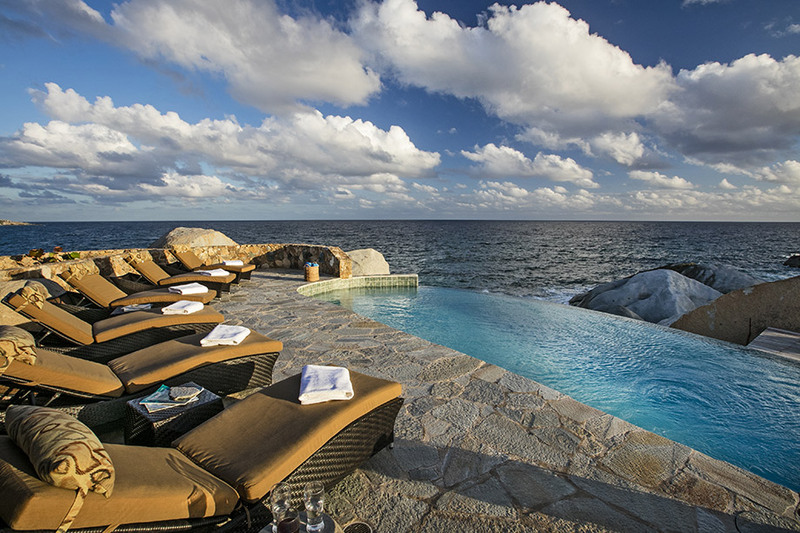 MAID SERVICE FREQUENCY: Daily except Sundays and holidays.